Gil Evans "Hidden Treasures Vol. 1 /Monday Nights"
The Orginal Gil Evans Arrangement! 21 Pieces! "The Meaning of the Blues"
Gil Evans Lee Konitz Interview samples! 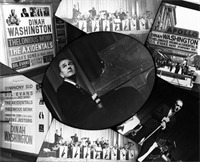 Essential Jazz Arranger, At 100! 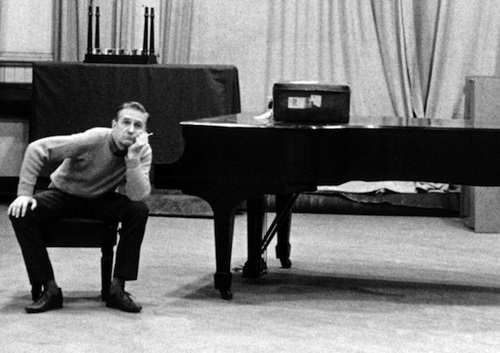 A comprehensive effort is underway to compile a complete and accurate archive of the music and music-related materials of the late jazz orchestrator, composer-arranger Gil Evans. We greatly appreciate your help in assembling relevant material, ie, Music, Audio, Video, Photos, Correspondence and other Mementos. If you have info on any related Gil Materials? Winner of the ASCAP-Deems Taylor Award. The life (1912–1988) and career of Gil Evans paralleled and often foreshadowed the quickly changing world of jazz through the 20th century. Gil Evans: Out of the Cool is the comprehensive biography of a self-taught musician whom colleagues often regarded as a mentor. His innovative work as a composer, arranger, and bandleader—for Miles Davis, with whom he frequently collaborated over the course of four decades, and for his own ensembles—places him alongside Duke Ellington and Aaron Copland as one of the giants of American music. Gil Evans Book "Castles Made of Sound"
Our Discography Page is Incomplete. Please go to Laurent/Jean-Pierre Gil website for most detailed Discography! Session Listing! Our Photo Gallery will increase over time. Gil Evans Memorial was 30 Years ago Easter Sunday April 3rd 1988.
passion for music was all consuming.